Ann Wylie's Calendar - Wylie Communications, Inc.
Here’s a look at my upcoming calendar of events. Hope to see you out there! 5/3 Portland Writing for Mobile breakout session at the CommCon 2019, Public Relations Society of America Oregon chapter’s 2019 Communicator’s Conference. 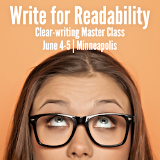 6/4-5 Minneapolis Write for Readability, a two-day clear-writing Master Class. Bring your laptop, and leave with a totally rewritten piece. 7/24-26 Portland Reach Readers Online, a three-day digital-writing Master Class. Bring your laptop, and leave with a totally rewritten piece. 7/29 Minneapolis Writing for Mobile breakout sessions at the Ag Media Summit. 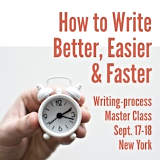 9/17-18 New York Write Better, Easier and Faster, a two-day writing process Master Class. Bring your laptop, and leave with a totally rewritten piece. 10/10 Des Moines Catch Your Readers, a one-day persuasive-writing workshop for PRSA Central Iowa. 10/17-18 Washington D.C. NOT Your Father’s News Release, a two-day PR writing Master Class. Bring your laptop, and leave with a totally rewritten piece. 11/13-14 New Orleans Catch Your Readers, a two-day persuasive-writing Master Class. Bring your laptop, and leave with a totally rewritten piece. Don’t see what you need? Keep up with our Master Classes. Would you like to attend? Please contact meeting planners directly for details. Can’t make these events? If you’d like to bring an Ann Wylie workshop to your organization, please contact Ann. Save money when you “piggyback” your workshop by scheduling it the day before or the day after another organization’s. That way you can split Ann’s airfare with the other group. Save even more: Ask about Ann’s professional association discounts, second-day reductions and sell-Ann’s-learning-tools rebates.